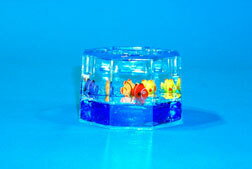 Octagon shaped swimming fish paperweight. Fascinating effects at any angle. 3 1/2 inch.